Paper or digital? How do you take your to-do lists? We&apos;ve been talking about this around the virtual Momtrends headquarters lately. Some stick just to paper lists. Others, like me, use both. I like a digital to-do list for long term work and life planning as well as a daily paper to-do list that gives me the satisfaction of checking those little boxes off. While I&apos;ve tried a number of to-do apps over the years, I&apos;ve finally found a favorite - Trello. Here&apos;s why you should give it a try. Trello lets me keep track of all my different to-dos in all the different areas of my life - work, home, personal. Trello allows me to easily organize and track multi-step projects & assignments. Trello is versatile. Depending on what I&apos;m organizing, Trello lets me add due dates, color-coded labels, photos, graphs, links, attachments -- even collaborators to specific tasks! 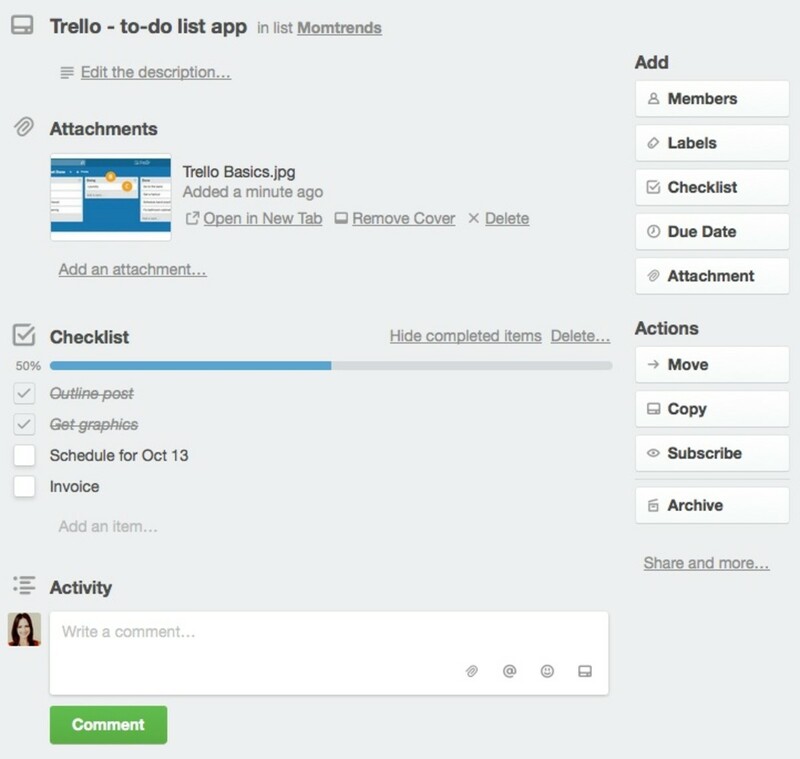 Trello is available for FREE both as an app and on the web. Ready to get organized? Here&apos;s how Trello works. Boards, list & cards. 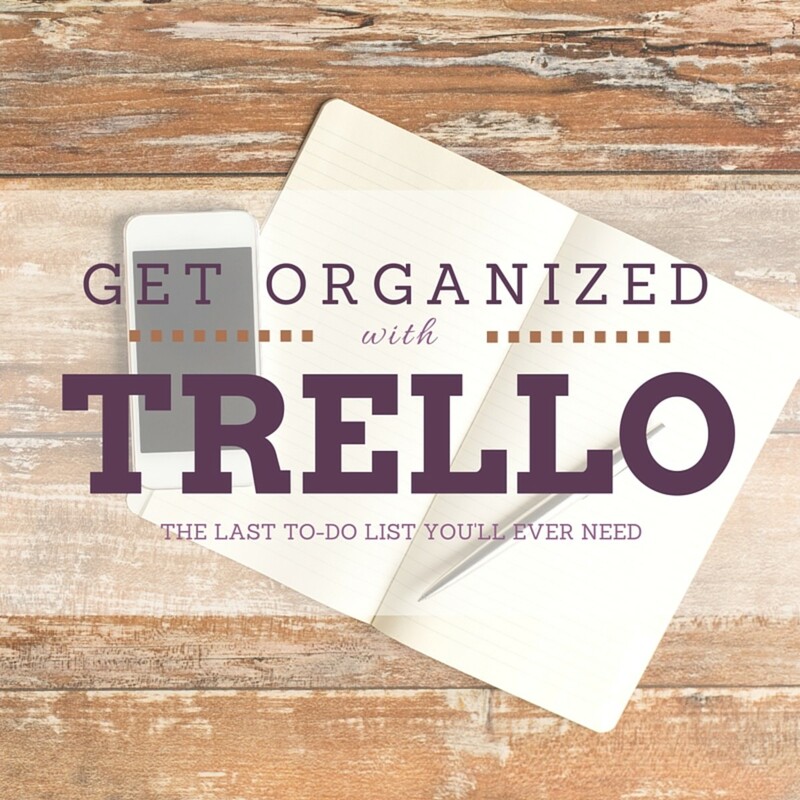 Trello contains three main "levels" of organizing. You start with boards (A) which contain lists (B) which contain cards (C). Those cards can also contain even more detail with room for checklists, attachments, photos, comments and more. It&apos;s easy to switch back and forth between boards, and you can create as many boards, lists and cards that you need. Separate boards for separate parts of life. If you&apos;re like me, you have a bunch of different hats you wear with to-dos for each one. With Trello, you can make a separate board for each aspect of your life you need to organize. I have boards for Work, Home, and Personal. You could also make a board for individual roles you have, specific clients, big projects, or events you are planning. Access via the Trello app or at Trello.com. I love having my to do list available on my phone when I&apos;m out on the go. But when I&apos;m sitting down to write or work with a client, I want to be able to access the list on my computer as well. With Trello, I can do both. As much (or as little) detail as you want. I love that individual task cards let me keep it simple with a simple word or phrase or let me create detailed, "deep" tasks with lots of smaller tasks or information. I don&apos;t have to search through my emails for information about an assignment&apos;s due date or contact&apos;s email address. Individual cards let you add comments and notes, pictures and documents, checklists, color-coded labels, due dates and even other collaborators who can access, add to and check off items on that card. Everything I need for that task - right at my fingertips. And did I mention that Trello is free! Try it out and kiss the cluttered feeling goodbye! p.s. Ready for even more organizing, Type As? Check out this Trello board of the Ultimate Trello Tips & Tricks. Momtrends was not paid for this post. Sanity due to being organized was provided by Trello.